A Joseph Eichler inspired H.B. Wolff MCM with nothing left to improve! 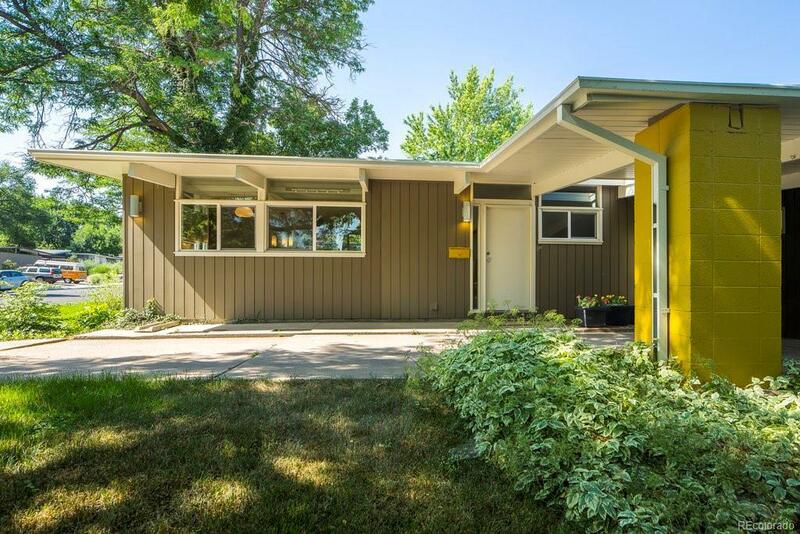 Spectacular high-end remodeled iconic Krisana Park mid-century modern ranch home on beautiful South Elm Street! A metamorphosis of preserved original Mid-century modern features plus new conveniences/features/fixtures to bring it to today's modern standards. NEW sewer line, NEW furnace and A/C, NEW TPO roof/insulation, NEW gutters, NEW double pane windows including 8 foot floor to ceiling windows/slider and clerestory windows throughout, NEW high-end LEICHT brand cabinetry kitchen and bar area with french door wine cooler, square sink with Blanco faucet, new plumbing, NEW electrical, NEW 50 gallon hot water heater, NEW and refinished hardwood flooring throughout, original mahogany walls, NEW Italian 24"x24" and 30"x30" outdoor paver patios off the MB and the living room which has an outdoor gas firepit, NEW landscaping, NEW paint in/out. Post and beam construction with tongue and groove ceilings! You will be wowed!